The latest Monitoring the Future survey revealed that drug abuse is declining among America’s teens, yet an alarming number of students are still putting their lives at risk by abusing drugs and alcohol. According to the US Department of Health and Human Services, around 50% of teenagers have tried illicit drugs at least once in their lifetime. With illicit drugs, misuse of prescription drugs, and binge drinking providing cause for concern across the US, it’s useful to explore and analyze the importance of drug, alcohol and substance abuse education in schools and to evaluate the impact it has. 2018 statistics show that although drug abuse and binge drinking are becoming less prevalent in school-aged children, there is still a long way to go. More than a third of students in the 12th grade smoked marijuana last year, with over 3% taking LSD and 2% trying cocaine. Over 13% of 12th-grade students and almost 9% of 10th-grade pupils admitted to binge drinking. The reality is that despite improvements, there are still hundreds of teens putting their lives at risk. Drug and alcohol education can help to reduce the risk of students falling foul to drugs. This relates not only to pointing out the implications of abusing drugs or alcohol, but also to teaching children to learn to cope with potential triggers for stress, anxiety, and depression and to enable them to adopt positive ways of thinking that give them the confidence to say no to things they don’t want to do or to break a habit. Every day you spend in school is a learning experience, but often, curriculums are so focused on mainstream educational classes that they miss out valuable life lessons. Many pupils will have little or no idea about the potential consequences of smoking cannabis or drinking shots of vodka when they try them for the first time. Often, with alcohol and marijuana, which are considered ‘soft’ substances, students assume that there is nothing to worry about, but both of these substances are highly addictive. 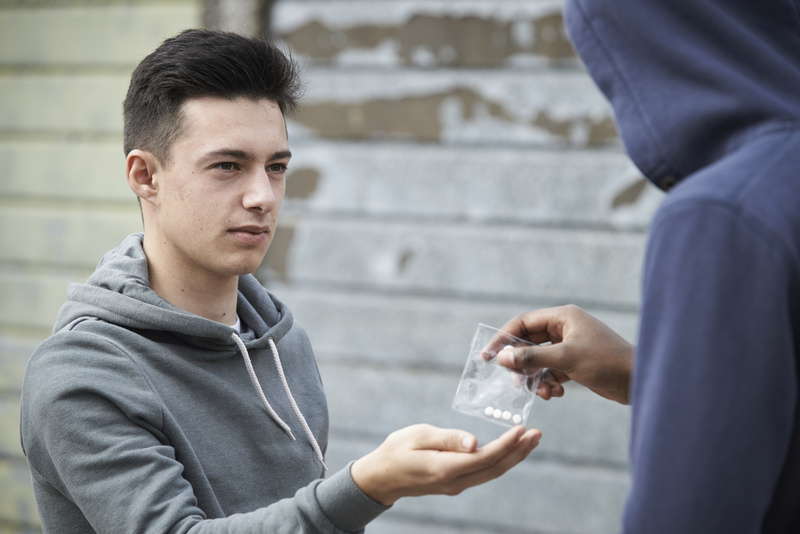 Drug and alcohol abuse education in schools is vital for providing teens with the information they need to make choices, and equipping them with the skills they need to get by in the outside world where they may be more likely to take drugs or drink too much. Additional programs like Education Life Skills’ Marijuana Prevention course can reinforce school learning and provide additional support for educators and parents looking to help the children in their care. There has been a great deal of debate about the efficacy of school drug education programs in the US in the past, but the National Institute of Drug Abuse suggests that school drug campaigns are effective when they are well-researched and delivered in an engaging manner that takes the target audience into account. The most recent MTF survey suggests that drug and alcohol abuse are becoming less commonplace among students at middle and high school, and this would suggest that school programs are having a positive impact. Figures for binge drinking, for example, have fallen from 31.5% of 12th graders in 1998 to 13.8% in 2018. In addition to school programs, which are implemented as part of the curriculum, other approaches can also offer a solution. In Indiana, the mother of a 16-year-old who died after taking a synthetic drug called 25I-NBOMe, has convinced more than 40 schools across the state to participate in events and activities as part of National Drug & Alcohol Facts Week. Jeanine Motsay, mother of Sam, stressed the importance of providing students with facts and taking steps to bust myths that surround drug and alcohol consumption that are often perpetuated through music videos, TV shows, and movies. One of the most important aims of drug and alcohol education programs should be to promote prevention. The National Institute on Drug Abuse suggests that every $1 spent on prevention contributes to a 10-fold saving on drug treatment. One key element is adjusting the mindset of individuals who are compelled to use drugs or drink excessively as a coping mechanism. Education Life Skills’ Captivity- Substance Abuse Prevention course is designed to promote prevention in a way that helps parents and educators to help teens build self-esteem, increase confidence and adopt a way of thinking that eliminates cravings and empowers them to make better choices. We tend to think about school classes as a means of teaching students to read maps or work out equations, but lessons that are focused on educating pupils about the risks of taking drugs and drinking excessively should form an integral part of classes for youths. These sessions, which can be supported by external programs and local and national events and campaigns, provide young people with valuable information, insightful stories, examples and case studies, and advice about seeking help or assisting others.